After much speculation and unparelled hype, Apple finally released its tablet device yesterday with the name "iPad". Now that the excitement over the device is slowing dying down, it has come into light that Apple has run into trademark trouble over the name iPad. It has now emerged that a Swiss chip maker, STMicroelectronics own a trademark on the name IPAD. According to filings on record with the U.S. Securities and Exchange Commission, STMicroelectronics own the trademark to the name IPAD. In their case IPAD stands for "Integrated Passive and Active Devices Technology". More details of IPAD can be found in STMicroelectronics's website. A spokesman for STMicroelectronics has reveled that they are looking into the matter. Apple has, however, not made any comment. 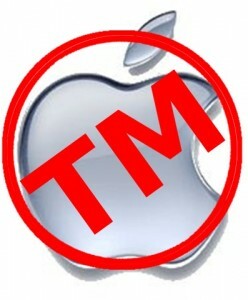 This is not the first time that a high profile Apple product has run into trademark problem. When the iPhone was released in 2007, Apple ran into problem with networking giant Cisco as Cisco owned trademak on the name. The matter was however resolved between the two parties.